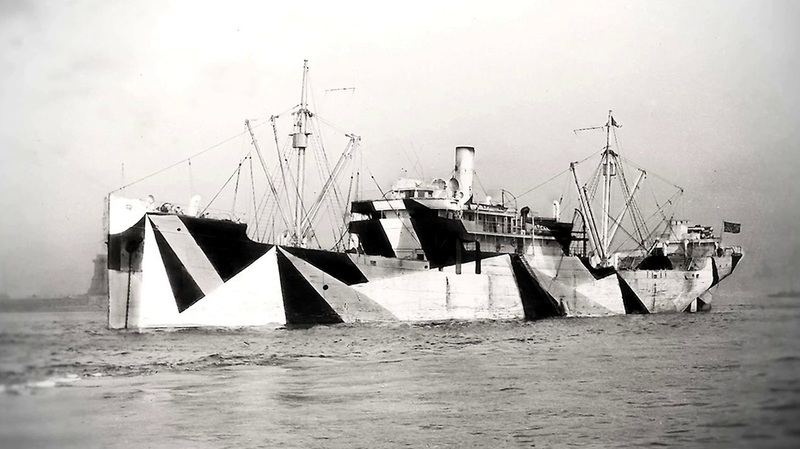 Dazzle camouflage was a form of disruptive coloration painted on ships during World War I, using bold contrasting shapes that had no relation to the forms of the ship. The idea was not so much to make the ship disappear as it was confuse the observer about the vessel's shape, range, and heading. 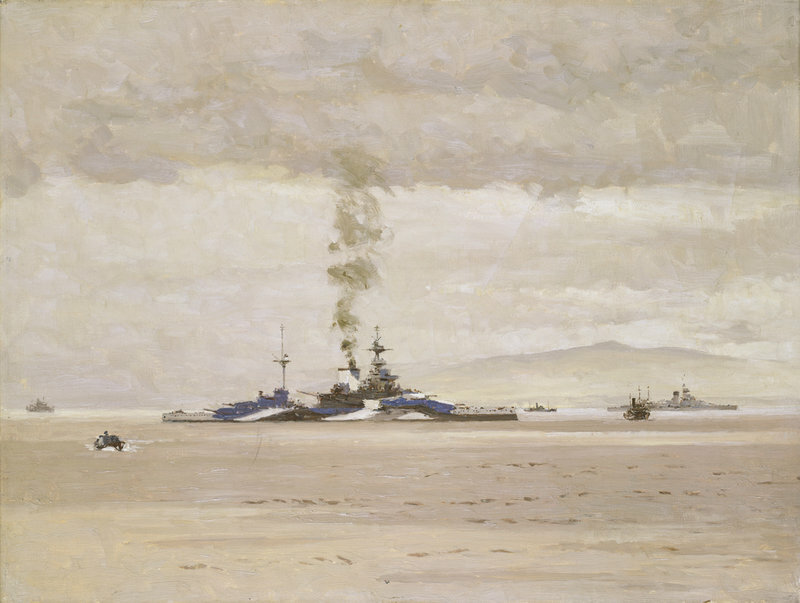 Some Cubists, notably Picasso, claimed to have invented dazzle, but it was credited to Norman Wilkinson, who was both an artist and a lieutenant commander in the Royal Navy. 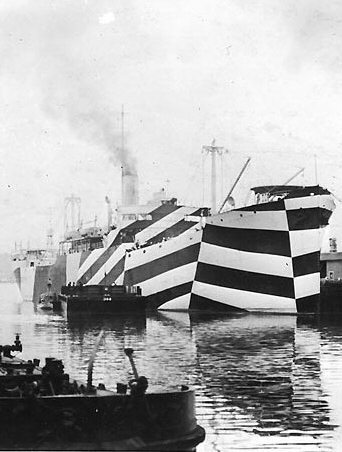 He promoted the idea that ships' paint schemes should be designed "not for low visibility, but in such a way as to break up her form and thus confuse a submarine officer as to the course on which she was heading." 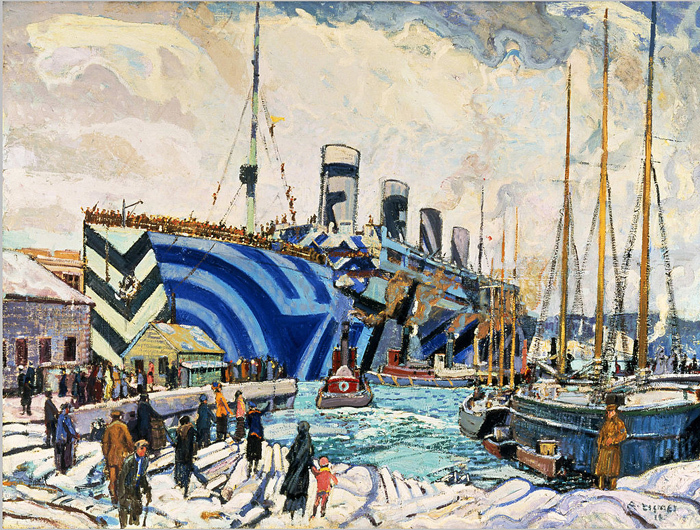 The paint strategy was used not only on military ships but also on merchant ships and passenger liners. It gradually fell out of favor after the First World War. Dazzle schemes were not just black and white, but often used bright colors as well. 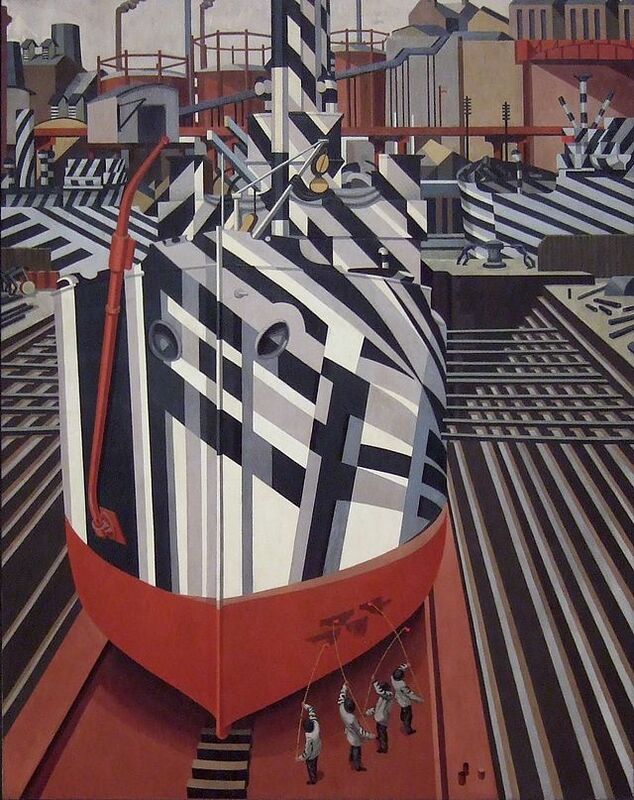 Other artists painted pictures of these ships in harbor, giving their canvases an automatic modern look. This kind of camouflage was also very sucessful in confusing the optical rangefinders of the enemy ships. Optical rangefinders work in the same way the pre-autofocus lenses work. The officer in charge looked through the lens and tried to set together the two parts of the ship's image. But with these strange patterns it was very difficult. So, with WW II and the wide use of Radar this beautiful camouflage run obsolete.